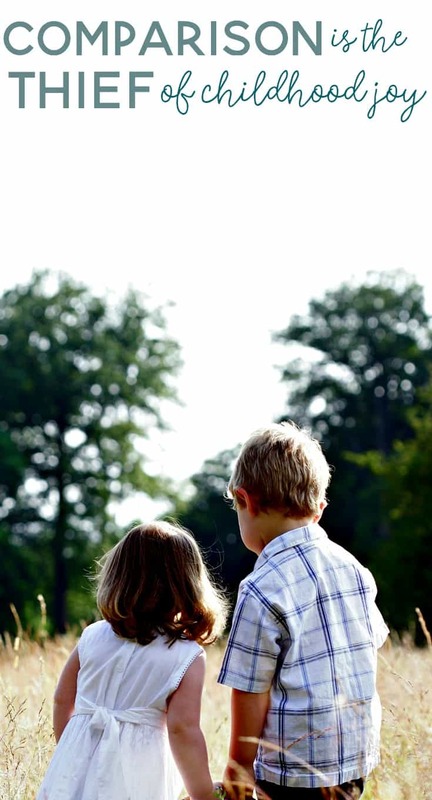 Are Parents Contributing to Sibling Rivalry by Comparing Children? Siblings are bound to fight. This may just be some sort of unwritten rule or maybe it’s just hard coded into our human DNA. Whatever the case may be, the likelihood that there will be peace between siblings is highly unlikely. But are parents also part of the problem? When parents compare their children, whether it’s intentional or not, they are contributing to sibling rivalry. So why do we compare our children to each other? We generally do this because we somehow feel that it will make our children want to perform better. However, it has the opposite effect. And even when it works, it leaves negative consequences. What can we do to stop this destructive habit? We need to recognize and admit that we do this, and then make a conscious effort to change our actions. But why is comparing children to one another so terrible anyway? Here are some of the reasons comparisons should have no place in our parenting. Self-esteem is a healthy component for everyone, and it is essential for all of us to have this. Without self-esteem, your child will feel that they never match up and will be unable to achieve their goals in life. Comparing them to other children causes them to feel worthless and unworthy, which can result in a self-destructive attitude and hopelessness to set in. Comparing children to each other is a sure way to stoke the fires of sibling rivalry. Children who are made to feel inferior to a sibling will fight to take back that power. Your children will never live peacefully among each other if you are comparing them to one another. We are all born with different gifts and abilities. Comparisons make an individual feel that their specific gifts are worthless, and that they should abandon those gifts in favor of pursuing someone else’s glory. Resist the temptation to compare your child to someone else, and you will give them the ability to feel the self-confidence of being proud of the things they have achieved. Imagine working for a boss who constantly criticized you and spoke highly of your co-worker. Imagine if he (or she) consistently cut you down and wished out loud that you would be more like your colleague. You’d probably label him a tyrant, or worse, and would want to quit your job as soon as possible. Now imagine if you couldn’t quit, and you were forced to work for him for a lifetime. 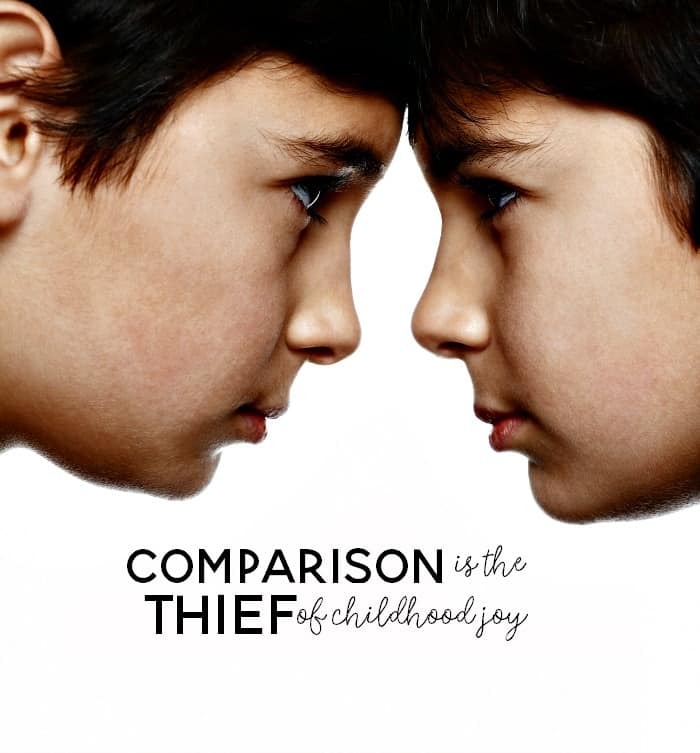 The feeling you would have is how your child feels when you compare them in a negative way to other children. Don’t put a devastating rift in your relationship by comparing your child with others. In the world we live in today, stress is present in unlimited quantities. There is far too much of it around and yet at times we create more through our actions. Comparing your child will put a burden of stress on him (or her) that he was not made to handle, as he figures out that he can never achieve worthiness in your eyes. Cut out the comparisons and you will relieve your child of this unnecessary problem. Comparing children is never a good idea. There are many positive ways to motivate your children, and comparing them to someone else is not one of those ways. Stop comparing, and cut this completely from your child’s life so he is free to build healthy relationships with you, with his siblings, and with himself. This is a gift that will last him a lifetime.